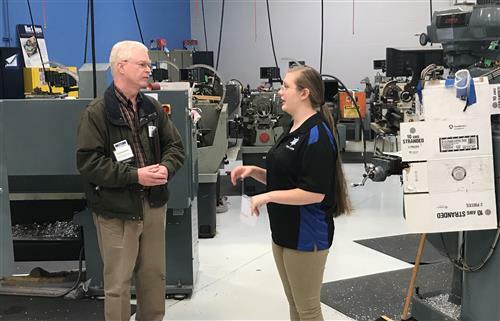 Career-Technical Education (CTE) gives high school students the unique opportunity to get a head start onpage preparing for college and careers. Students will learn how core school subjects like math, science and writing are used in real-life. As a CTE student you have the unique opportunity to participate in hands-on training in your chosen pathway taught by seasoned professionals in the field while gaining real work experience through various field experiences such as job shadowing or internships to name a few. Many programs offer you the opportunity to earn college credit or industry recognized credentials. Grab a plate and get in line - it's time for the annual Thanksgiving buffet at the Executive Grille. 11/5/2018 -- Some people dream of driving a race car, while others dream of building one, and that's exactly what 30 students from Davis A&M, Garrett Morgan and Max Hayes high schools did over about five-week period this fall. 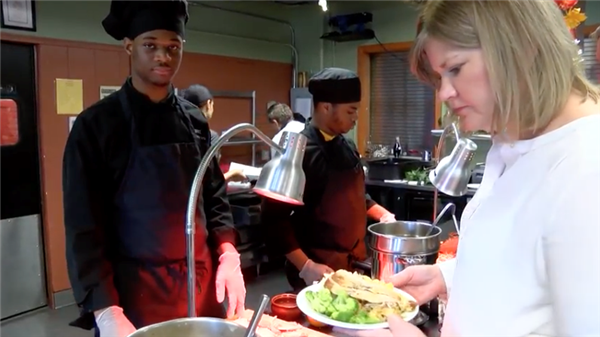 10/16/2018 -- CMSD is big on connecting students with real-world experiences away from school. It introduces them to and whets their appetite for high-paying jobs. On Tuesday, the real world came to Max S. Hayes High School. 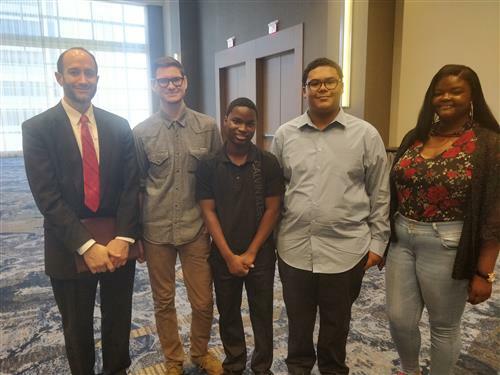 10/9/2018 -- Seven students spent virtually all of last school year upgrading the website used by the Federal Bar Association’s Northern District of Ohio Chapter and developing an app that made the site mobile friendly. The FBA, which has more than 500 members, rolled out the work Tuesday during its annual State of the Court luncheon at the downtown Hilton hotel. 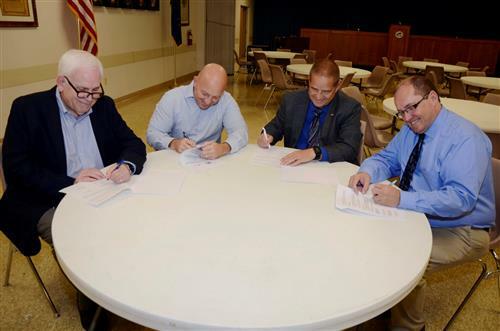 9/27/2018 -- An agreement that the District signed Thursday with the Plumbers Local No. 55 Joint Apprenticeship Training Committee will allow qualified Max Hayes graduates to go directly to work as residential trainees in the plumbing industry. 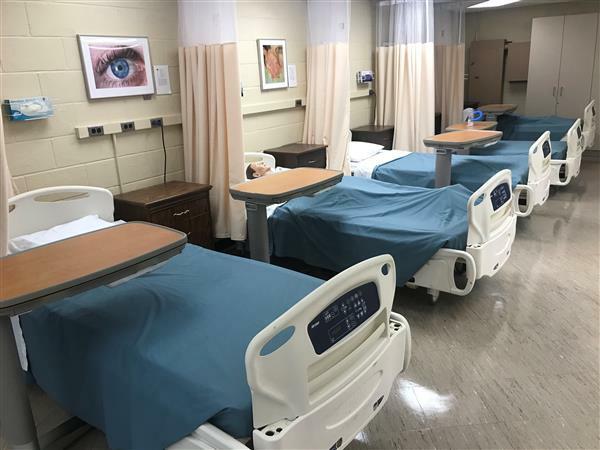 8/29/2018 -- Students in the Allied Health program at the Martin Luther King Jr. Campus are training to work in a professional healthcare setting – and now they feel as if they have already reached their goal.